An internship is an opportunity for individuals who do not have work experience in their given field to gain some first-hand knowledge. 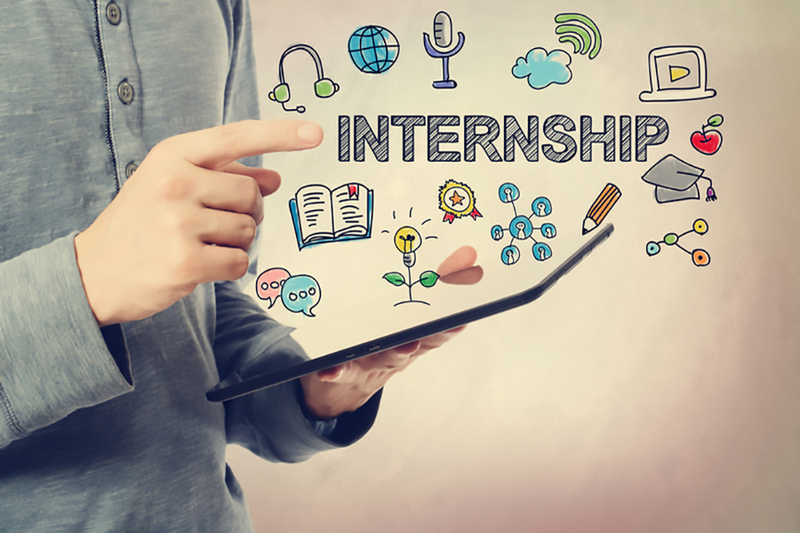 The terms of an internship can be anything from one week to 12 months, and INTERNSHIPS are designed to bridge the gap between the academic world and the working world. Intern interviews follow much of the same guidelines as a regular job interview with an emphasis on your knowledge and understanding of the company. Here are the top four questions and prompts you are likely to be asked. Below also explains how to tailor your answers to the internship at hand. You are most likely familiar with this question but many people are stumped for an answer. Your response should combine both your personal philosophy and how your personal philosophy coincides with the position you are applying for. Share your work and study experience, including information such as where you are from, your passions, hidden talents and what inspires. Following on from this information you will pique an employer’s interest and make them more likely to want to get to know you. Tailor your strength and weakness answers to the position at hand. As an internship offers a shorter-term experience and you will want to get the most out of your time there as well as get along with everybody. Strong interpersonal and communication skills will be valued, as well as a team member attitude and a willingness to learn on the job. Weaknesses may include a lack of practical experience in your field of interest, so be sure to point out that lack of experience is the very reason you are seeking the position. Describe a time when you have been in a situation of conflict or difficulty? Employers like to know their team members can get along even if the position is temporary. Spend some time thinking about this before your interview. Successful conflict resolution involves listening, communicating, seeking advice, keeping your cool, transparency and acting with integrity. Show that you are aware of these things and be prepared to provide an example. This is your opportunity to share your career goals as well as your understanding of the career pathways available in your industry. Realistic, confident goals show that you are thinking ahead and have a firm grasp on what to expect. If the internship is short term or even unpaid, let your employer know that you are comfortable with this and happy to gain as much experience as possible. Employers taking on an intern want to feel that the terms of the position are understood and there is no latent disgruntlement or expectations. Approaching an internship with this attitude is much more likely to lead to an extended term and/or good references. Have more questions about how to prepare for your next job interviews? Have a conversation with one of our career coaches at NotedCareers to ensure you ready to win that position. Contact us today.